Isa Hoes and Antonie Kamerling meet each other for the first time during the auditions of Good Times, Bad times. 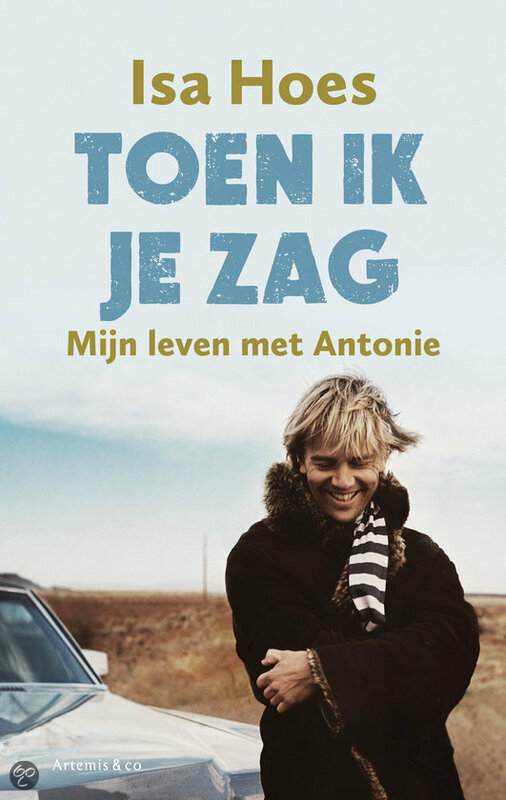 The Dutch soap becomes a huge succes and Antonie, as his character Peter, quickly becomes immensly popular. Antonie and Isa fall in love and lead an irregular life while playing part after part in other televisionshows, movies, plays and musicals. The outside world sees a shining couple in front of the camera’s, but in private Antonie suffers of depressions. While Antonie is depressed more often, Isa tries to keep her family together till Antonie decides to end his live on the 6th of October in 2010. When I saw you isn’t only a book about the life of living with a husband who suffers from depression, but also a loving portrait of two people who immenstly loved each other. I remember seeing it on the news. Antonie Kamerling, a well-known Dutch actor, died by committing suicide. They told us he had been struggling with life for several years That is when I thought: so after all that time, after all the struggles and years in which he managed to survive, he still couldn’t take it in the end. If he did not make it, how can I ever expect to? It does not stop, no matter how hard you try. Depression doesn’t go away. When Isa Hoes, his wife, published a book 3 years later about the life she had with Antonie I was immediately interested. I wanted to know how bad his struggle had been. I wanted to get an answer to my questions from 3 years ago. The book starts off very interesting and the first few pages definitely serve their purpose. However, after that we dive into Isa’s life which makes sense because the under title of the book says: ‘My life with…,’ but her life appears to be more or less a sum up of her career. As Antonie enters and later becomes a bigger part of her life, his resume gets added to the sum up and it goes on till around two third of the book. In all honesty, this would not have bothered me as much if emotions had been added. It is not the jobs alone that are getting summed up, it seems like the entire story, her entire life, is a sum up. Then this happened, then this happened, etc. The missing emotions is my biggest pet peeve. Throughout the book, Isa tells us how she feels all the time, but this is exactly the problem. She tells us, but I’m not feeling it and therefore I did not really care all that much. Even when Antonie died at the end of the book, I could barely feel the emotion around it by purely focussing on the written text. When I looked up a news article from 2010 about his death I felt more emotion and definitely more invested. Another thing that annoyed me to no end is that Isa seemed to be repeating a lot of things all the time. I do not mean the recurring fights or the days in which Antonie was lying in bed, no, she concludes one thing and then, on the page right next to it, she basically tells us the same. Nonetheless, I did think it was interesting enough to finish the book. Some parts grabbed my attention more than others and encouraged me to read on. I don’t think I found the answer I was looking for, but the book was insightful anyway. I imagine Isa’s writing style to be easily accessible for readers, but it is not one I prefer. All in all, I would not recommend this book and I haven’t yet made up my mind whether I found the read worthwhile. Do note that this review is written regarding the book and not their personal lives.